← When companies meet communities: Is this what friendly commercial farming looks like? Dominion farm is one of the biggest agricultural activity in Siaya County and it is difficult to believe that the land it is sitting on was a few years back just a swamp. 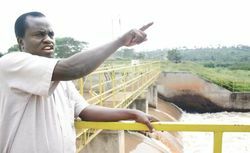 Located within Yala Swamp, which traverses both Bondo and Alego Usonga, the farm has opened the region. The country director Mr Chris Abir says the mission of the company is to boost the production of rice, which covers some 2,000 acres of the land in addition to educating local people on proper land use and create viable employment for residents. So far 1,500 people are employed in the farm and the company has leased 17,050 acres of land to the local people to provide give them a source of income.